The 2015 European Championship kicked off in Portimao Portugal. Tillotson-mounted drivers were leading the way right from the off, with Sasha Vartanian (Ward Racing) taking pole position in KF using the ever popular HC102A and Sami Worship (RFM) taking pole position in KFJ using our HW23A Model. In the Finals, Tillotson-mounted drivers fought for victory in both classes, It was Ben Hanley (Mad Croc/TM) that emerged victorious over Tom Joyner (Zanardi/TM) and Felice Tiene (CRG/Iame). 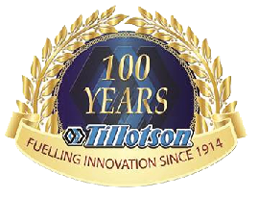 Nine of the top 10 drivers were using the popular HC102A Tillotson. KFJ was dominated by Kenny Roosens (VDK/ Iame) using the HW23A. He won the final in style. The Second round of the European Championship was held at PFI. 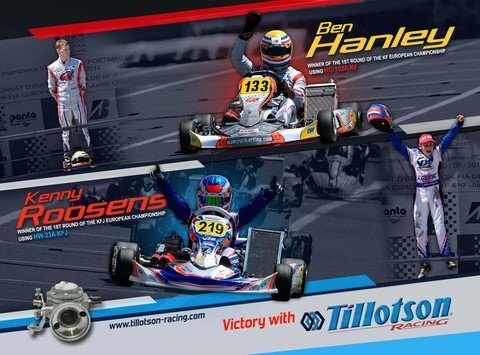 Tillotson drivers were again to the fore with Richard Verschoor (RB/ Vortex) grabbing pole position in KF while Konsta Lappalainen (Ward Racing/ Vortex) took pole in KFJ using the HW23A. 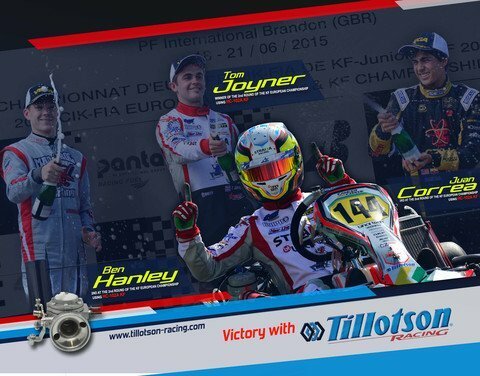 In an exciting race, it was is was Tom Joyner who ended up the winner followed by Ben Hanley and Juan Correa, making it a Tillotoson 1-2-3. We wish all of our customers the best of luck in the final round of the European Championship, which takes place in Sweden 22/26-7.